I have never read a book that has moved me quite so much before and I doubt I will again. Although I am in doubt that if I do, it will be by this amazing author. There is always something bittersweet about reading an Amanda Prowse book, because I know that I am going to love every page, but also take out a share in Kleenex for the duration. With The Food of Love, I was really able to savour this book, as I was trying my hardest to catch a chapter here and there between college work, but in the end I had to just put my college work on hold and dive straight in, because I really couldn’t wait another minute to find out what happened at the end of this amazing book. Freya has is all, she loves her job, her husband adores her and she has two beautiful teenage girls, Charlotte and Lexi. Freya doesn’t know it yet, but her world is about to fall apart at the seams. After being called in to her Lexi’s school to discuss a funny that her daughter has taken due to not eating, it becomes apparent that Lexi has a problem with food. At first, Freya doesn’t want to believe it, she is completely in denial about how her beautiful daughter, who is loved so much by everyone that knows her could be suffering from an eating disorder. But when Freya finds bags of her daughters vomit hidden in her room, Freya and her husband Lockie have to admit that their daughter has a problem and they set out to make her better, no matter what, because they just can’t lose their beautiful little girl to anorexia. What follows in a heartbreaking, gut-wrenching tale of how one family battle with their daughter’s demons and how anorexia can change so many lives. What makes Amanda Prowse’s book so real is that they are about real people and whether we like it or not, the topics that she covers in her books are happening all around us on a daily basis. Anorexia is classed as a mental illness and the stigma that surrounds mental illnesses is still very much alive in today’s world. By writing this book, Amanda is breaking this stigma and for that she must be applauded. 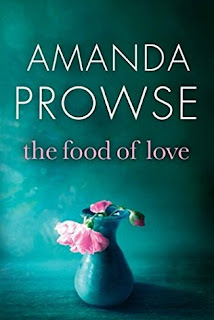 The Food of Love was sometimes tough to read and at times I did need to put it down, but it opened my eyes to what happens, not only to the person suffering from anorexia, but also to their friends and family. It really made me wonder about how many families have had to watch their beloved child, grandchild, sibling, suffer in the way that Lexi did in the book. Everyone has, at some point in their lives, wanted to lose weight, I myself am at that point at the moment, and it is a huge eyeopener, that losing too much weight and being too skinny, can be just as serious and even more dangerous as being overweight. The characters in this novel have had such a lasting effect on me and a little bit of my heart remains between the pages, even though I’ve closed the book for the final time. I have never felt such raw emotion when reading a book before and the thought that the things that were happening to the family in the book, are happening now to real family is very thought provoking and really upsetting to me. The Food of Love is hands down the best book I have read this year and probably this decade. Amanda Prowse is a truly talented storyteller and has quickly become my favourite author over the last few years. All of her books are special, but there is something about The Food of Love that stands out from the rest. This family and their story is one that is going to stay with me for a very long time. I always feel like I need a huge hug after finishing an Amanda Prowse hug and this one was no different. I really cannot recommend this book enough and I will telling anyone who will listen to me just how amazing it is. Freya's story is written with such passion that it hard not to lose yourself in the story. The Food of Love is poignant and touching and I'm not going to lie, it will leave you an emotional wreck. 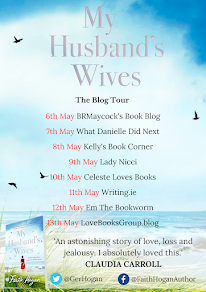 Amanda Prowse is one of the best authors of this time and you will not want to miss out on her best novel to date. I would like to thank the author for sending me an arc copy of this book in return for an honest review. The food of love is available to buy here.